When it comes to the world of commerce and finaces, using the word leverage relates to a method which can be used to multiply or increase the investment returns, from a certain set of investments or a certain investment. It can also mean the increase of the net worth or equity of a business, in some cases. It’s quite a broad term and it covers a number of investments, business and assets, but all things considered, the Forex leverage is either a set of methods or a single method, which can help increase the returns from an investment, the net worth or the value. Usually, this leverage is done with the help of debts, contracts or borrowing. The Forex brokers are the ones that provide the loan or the credit for this process when it comes to a Forex leverage. The Forex leverage might not sound very real when you hear it explained, but this is how it actually works. If you’re looking to understand how the Forex leverage works, you should understand how the trading Forex is done and what BP and PIP mean. When someone decides to invest funds in a Forex market, stock market or a money market, they can usually expect one of three types of profits or benefits from their investment, as long as they’ve carefully considered their investment, making it after a proper analysis and calculations. One of them is the profit from the selling value, which you get after you sell the investments for a price which is bigger than what you paid for it. Another one is a return which you receive periodically from your investment and here you can find shares which give you dividends. Finally, there is the return on investment, which is quite a broad term. It refers to all the gains you’ve received from the investment you made. It can be both non-cash and cash. 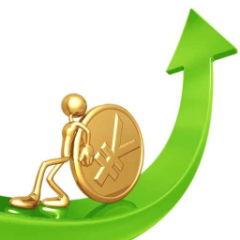 The Forex leverage can be used to increase how much currency you have on the Forex market. One method of doing this is opening with a broker a marginal account. Once you do that, you can borrow money from your broker, in order to invest it in a quote currency. In order for the broker to give you money, you have to put some money yourself, usually more than what the broker offers as a loan. An example is when you have to put 60%, while the broker offers you a loan for the rest of 40%. That loan which you receive from the broker is the leverage. The use of derivatives is the second way that you can use for Forex leverage. These are contracts which give you the right to buy currency at a certain price, but it’s not an obligation. A contract of this type will increase the asset value, even though you invest less. Leverage can be either very profitable or very dangerous when used in Forex. It does offer you the chance to boost your profits considerably, but it can also bring losses that are just as big. The more leverage you use, the bigger your risk, but also the potential rewards. It’s up to you whether you want to take that kind of risk and if the potential profit makes up for it. The trader’s temperament and style of Forex trading is important in a case like this. When you’re using just a bit of leverage for each trade, one can afford to do the trade with more space for breathing, with a reasonable stop, but wider than normal. With small amount of leverage you don’t risk as much money. If you use trades which are highly leveraged, you risk a quick depletion of the trading account if the trade doesn’t go the way you hoped. Since the lot will be big, the loss will be very big as well. The amount of leverage can be customized depending on the needs of the trader, so make sure you don’t go to extremes. You should try to keep your eye on the target, making money in the long run, not risking your investments and gambling them away. When it comes to having a profit, it’s not all about becoming rich in the next month, it’s about making money for a long time.